It’s hard to change a winning side and that means that Steve Smith and David Warner will face difficulties in returning to the starting 11, but there will be no shortage of other players who will feel hard done by come the World Cup. 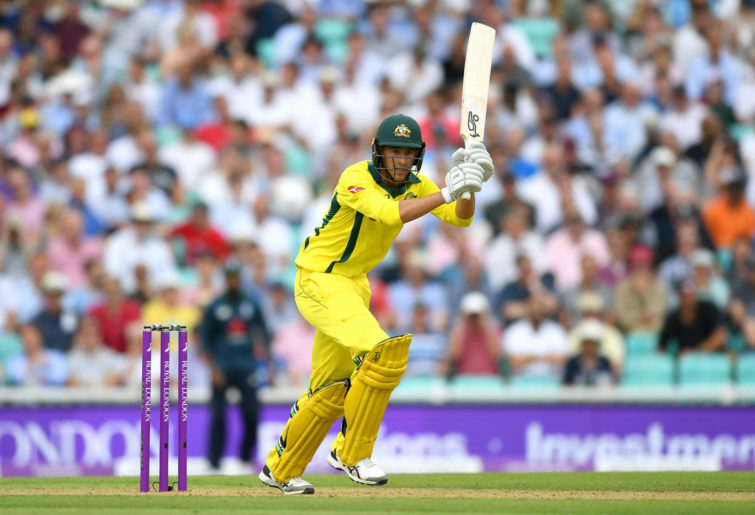 Here’s an Aussie XI that have all represented Australia in ODI cricket in the last two years, with one exception – players who must face the stark reality that despite strong performances recently, there’s no way they’re making it onto the plane to England. The left-hander was the leading run-scorer in BBL08, plundering 637 runs at 53 with six fifties and a strike rate of 141. He’s highly rated by many, with Shane Warne calling for his inclusion to the ODI set-up after working with Short in last season’s IPL at the Rajasthan Royals. Short’s batting alone would be enough, but his left-arm wrist spin could offer a few handy overs, even if it is a little raw. Australia’s master blaster has been giving bowlers on the T20 circuit nightmares for years, but the when he pulls on the national colours, Chris Lynn struggles. His ODI series against South Africa in November only yielded 59 runs in three digs, and his T20I average sits at just 19.4 after 16 innings. He managed two hundreds and three fifties in last year’s JLT Cup, but this won’t be enough to break into consideration for Australia’s already-jammed top order. 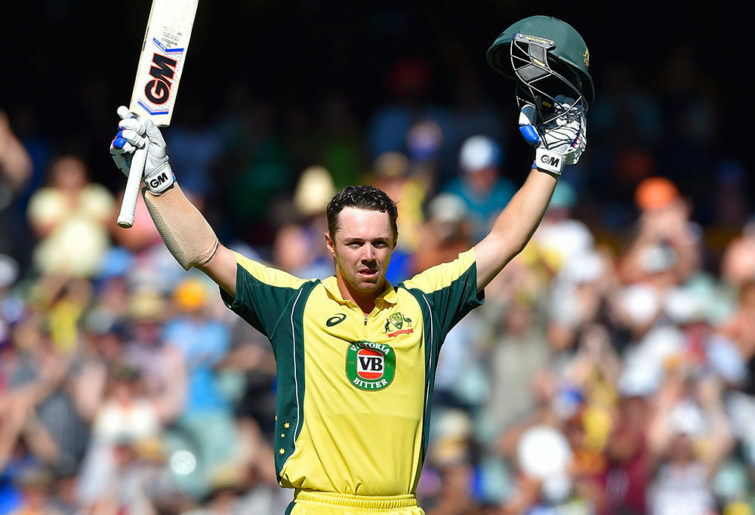 He’s been a mainstay of the Australian ODI side for the last few years, proving himself an extremely versatile batsmen who can bat at the top of the order or further down. He strikes the ball well and has shown a great deal of promise with a gritty debut series in the baggy green against Pakistan, followed by strong showings against India and Sri Lanka with four fifties and a hundred in the whites. His offies were often used under Smith’s captaincy, and he provides a great fifth or sixth bowling option. Need anything really be said? Wade has vanquished all before him this summer, piling on 1021 runs at 60.05 with eight fifties and two hundreds in the Sheffield Shield. In the BBL he managed 592 runs at 42 with six fifties, striking at 147. His continued exclusion from the national set-up continues to baffle, and it’s time to start entertaining conspiracy theories. My personal favourite is that in the wake of the post-Cape Town culture review, his name was mentioned as someone who is too aggressive a sledger for the likes of Cricket Australia. It’s quite fashionable to jump on the Mitch Marsh hatred train, but you have to feel sorry for the West Australian. Last summer he emerged from the Ashes as the player Australia always wanted him to be, with two centuries in that series. Six months ago he was named as Australia’s vice-captain. Now, he finds himself totally out of the national set-up. The man regarded as one of Australia’s finest finishers on the domestic scene in the last few BBL seasons had a spectacular debut series in international 50-over cricket last month in India, with his memorable 84 not out in Punjab underlining his pedigree. But Australia has enough quality batsmen vying for already-limited places, and his part-time offies aren’t enough to help him into the side as an all-rounder. Agar was one of the few shining lights in Australia’s 5-0 drubbing in England last winter, with the left-hander showing his serious pedigree with bat, ball and in the field. Nathan Lyon’s resurgence makes it clear that Agar is the third best spinner in the selectors’ minds, and his batting isn’t strong enough to threaten Maxwell for an all-rounder slot. Faulkner has become the forgotten man of Australian cricket, and while he was once the first name on the team sheet, he’s fallen out of contention totally in the last 18 months. He’s been hampered by a knee injury that has prevented him from getting any serious run of matches together. ‘The Finisher’ showed glimpses of what once earned him that moniker with three final-over sixes against the Scorchers to win a game for the Hurricanes this summer, but his injury woes make him too much of a liability. Michael Neser has been the cricket hipster’s player of the summer. He continues to impress in the Sheffield Shield, with last season’s 37 wickets followed by 33 wickets at 23 this season. He also managed 481 runs at 43 with the bat, including five half-centuries batting at seven. He’s a genuine bowling all-rounder, but had a desperate international debut last year, managing just two wickets in two matches against England at 60, and with an economy rate of 7.2. One of the best bowlers in the world on his day, Pattinson is another who has struggled with injury. He’s had tremendous success in England in recent county seasons and has got plenty of the fire in him that is needed for a fast bowler. He’s no slouch with the bat either, but he won’t find his way to the top of the pile of Australian fast bowlers with Mitch Starc, Pat Cummins, Josh Hazelwood, Jhye Richardson, Andrew Tye and Jason Behrendorff all ahead of him. Don’t discount him from the Ashes, though. ‘Big Billy’ is showing promise and continues to develop as a player. He appeared in many fans’ 2018 T20I team of the year after a string of impressive performances against England, Pakistan and Zimbabwe. He lacks a distinguishing feature compared to the other quicks, with his raw pace matched by Starc, and his skill level still not at the level it needs to be to force his way in. One of the nicest blokes in Australian cricket, Siddle made an unlikely return to national colours over the summer. He last played domestic 50-over cricket in 2017, where he took nine wickets in seven matches with a miserly economy rate of just 3.95. He’s an accomplished wielder of the red Dukes ball, but that will do little to aid his case to play with the white Kookaburra come June 1.